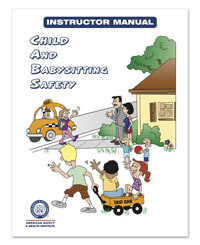 The Child and Babysitting Safety program is a community education program that covers child safety and basic care techniques for infants and children.CABS stresses the priority to keep you and the children you care for safe. Babysitting is not just “watching” the children, but being responsible for their safety and well being. When you are caring for a child, you are taking care of a parent(s) most prized possession. Everything in their home and your own home can be replaced— everything, that is, except a child. Geared towards adolescents, not intended for daycare workers.